What do all these have in common? If you throw an 8 in front of them, you have a classic….I’m 8 yrs old now, baby!!! My birthday week is about to come to an end – yes, I said week because that’s how I roll. I get the run of my proverbial castle which means, presents, pizza, and just about any kind of junk food you can think of. On the day of my actual birthday, I grabbed a couple of my friends and we went bowling and played video games all day. I’m not into cake so I’ve started the tradition of getting Campisi’s pizza loaded with so much Canadian bacon it looks like a pig sleeping on pizza dough. 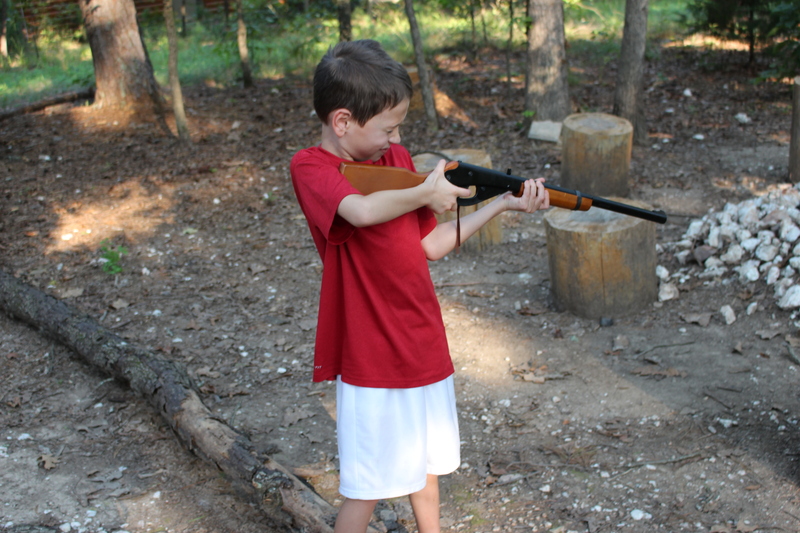 After that, mommy, daddy, and I went to a cabin in Beaver’s Bend, OK for some rest and relaxation. 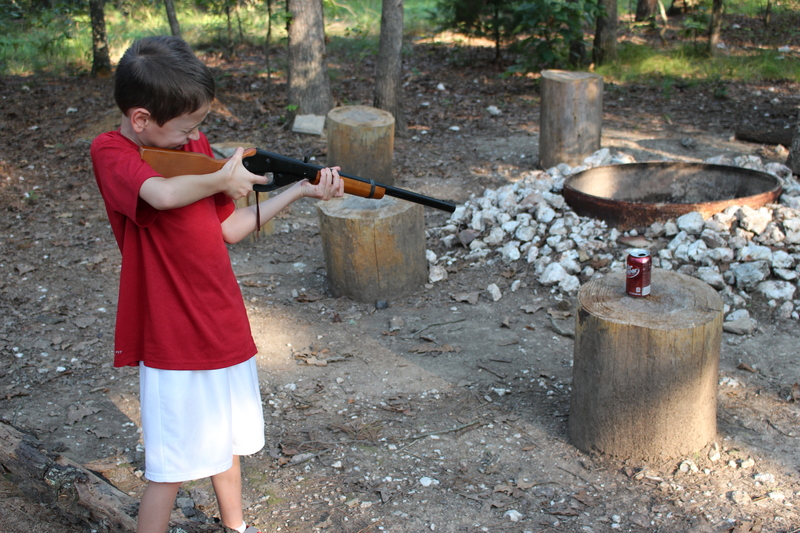 It was a blast and we had some great quality time playing games, fishing, hiking around the area and shooting my new BB gun my dad bought me – he shot it more than I did – something about working out unfulfilled childhood dreams he was deprived of – I guess the BB gun was cheaper than a shrink, but he may want to consider springing for some therapy. Anyway, it was a great week and I plan on making each following week better than the last. ….from 2 feet away so stay out of my sweet spot. Over the past week I have been blessing my grandparents with my presence. 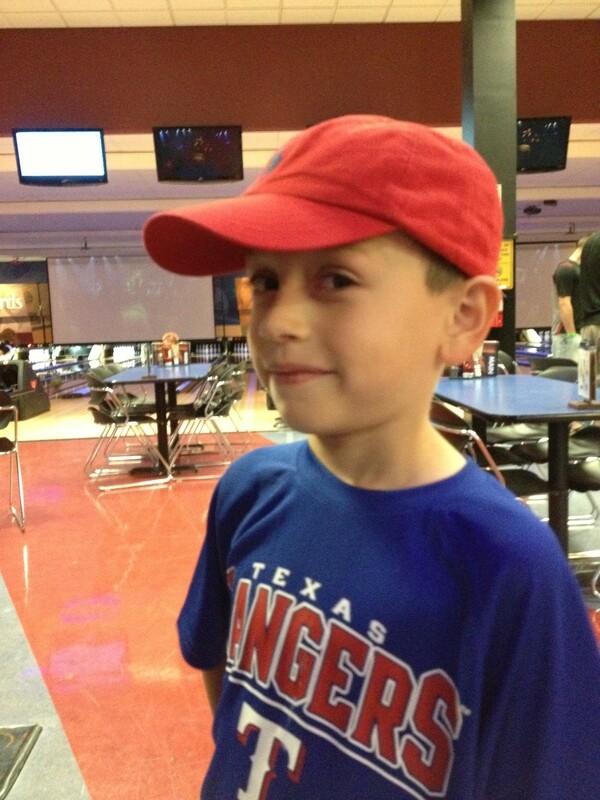 First, it was bowling with papa Kolias and daddy. I’m almost unstoppable with bumpers and a ramp to guide the ball, but daddy still got the best of us both and was crowned champion. Daddy says that this is his time – young enough to beat the aging papa Kolias and old enough to hold me off for many years to come. Just keep in mind daddy that my time will come and I will have no pity on you. Then, I spent the whole day with Grannie on 5/24 because school was out and mommy and daddy had to work so she was the lucky one that got to run me around everywhere – and I mean everywhere. First, it was off to a great breakfast at Waffle House – my fav (#FavFlav). After getting fueled up, we went to the library to find knock-knock joke books. She didn’t realize how many books there would be on that subject, nor did my folks – I have been reading knock-knock jokes left and right. After that, we ran up to Pilot Point to go to this zoo where you can also eat dinner with bears. Unfortunately, it is closed during the week so we wasted a trip to Pilot Point for nothing. So pressed to keep me entertained and happy, Grannie took me to Chuck-E-Cheese and I have to say that I never get sick of that place. Yes, it may be germ-infested and full of ill-mannered kids that aren’t high on taking turns, but I get to spend lots of money for tickets to get prizes worth a fraction of the money spent on them. 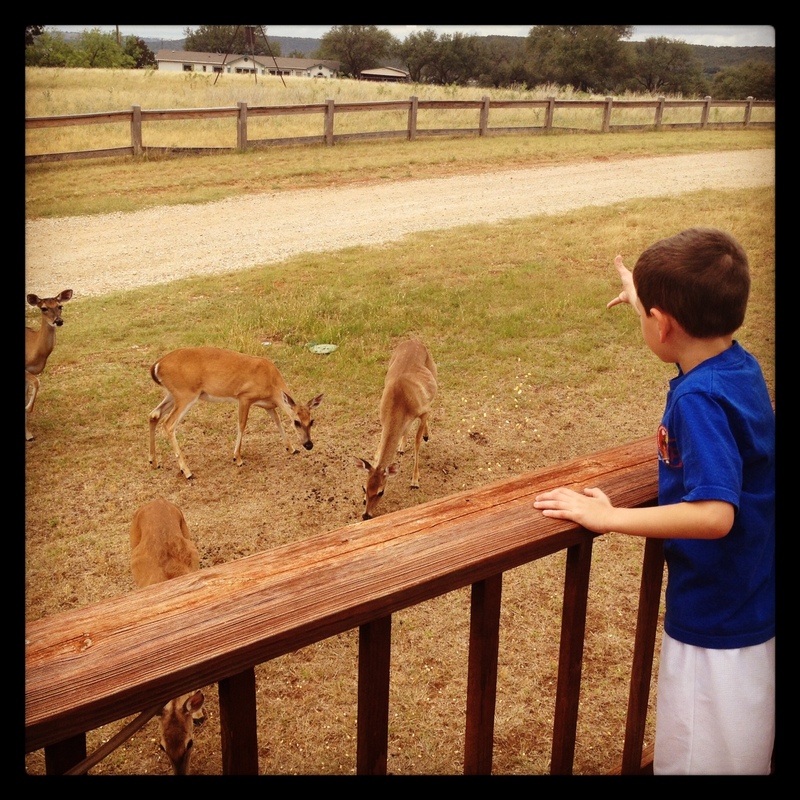 And then this past weekend, we went out to nanny’s new place at Possum Kingdom. That is about a 3 hour car ride from here to there – fortunately, I had a lot of knock-knock books to help pass the time for mommy and daddy (thanks Grannie). One of the cool things about nanny’s place is that she has like 40 pet deer, or at least deer that hear the can rattle and come running up for a free meal. Nevertheless, I got to feed deer and it was cool. We fed them corn and at one point I tried to throw the corn out real far, but I ended up just hitting a deer in the head. I didn’t mean to, but I did giggle when I heard the thump of corn on his head – I hope that isn’t bad karma – he did continue to eat. Anyway, it was a good time with the grandparents – next up is papa Dupree this weekend at the family reunion.